Planning for a vacation near Delhi but have limitations in budget? You will feel happy to know that there are several destinations offering a delightful trip near Delhi and that too within your means. Touring is not always about burning a hole in pocket. Through bit of research and proper planning, you can enjoy a wonderful and affordable tour to these destinations. Let us explore the list comprising some of the best places for budget vacation near Delhi. Located in Nainital district of Uttarakhand, Corbett National Park is the oldest park in India and first to come under renowned Project Tiger. The park is famous for boasting remarkable number of Royal Bengal Tigers. There are countless exotic species of flora and fauna in the park. Other than tigers, the major fauna species of the park include elephants, chitals, sambar deer, gharial, nilgai, muntjac, hedgehog, wild boar, etc. Spread in an immense area of 521 square kilometers, the park is perfect for enjoying wildlife safari. 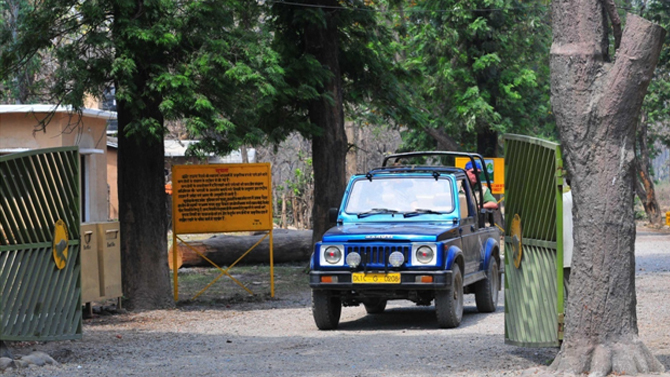 Jeep safari, elephant safari and canter safari make Corbett an ideal place for nature and wildlife lovers to bask in the lap of nature and explore the natural beauty in an unique and engrossing way. Corbett is positioned at a distance of 230 kilometers via NH24 from Delhi. By Road- Corbett is well connected with road from the cities like New Delhi, Dehradun, Lucknow, etc. Some of the major places to stay in Corbett are Dhikala Forest Lodge, Corbett Leela Vilas etc. 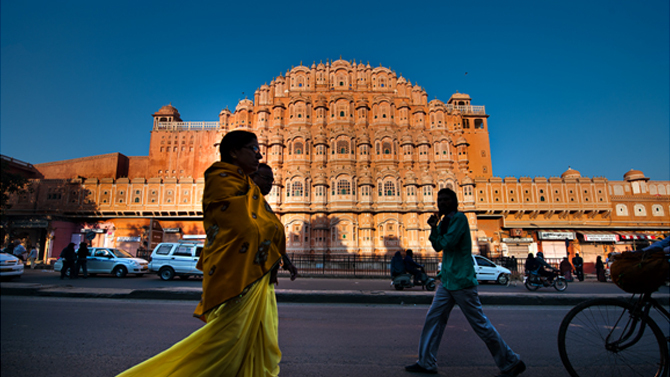 Popular as Pink City, Jaipur is the capital of Rajasthan. It was founded by Sawai Jai Singh. The city holds the relics and monuments reflecting the affluent past of the region. The imposing forts and palaces attract history buffs and leisure tourists alike. Some of the famous places to visit in Jaipur are Hawa Mahal, Jantar Mantar, Amber Fort, Nahargarh Fort, City Palace, etc. This beautiful city is positioned at a distance of about 261 kilometers from Delhi. By Rail- Jaipur Railway Station has regular trains to all the major cities of India. By Air- Sanganer Airport in Jaipur is located at a distance of 10 kilometers from the center of the city. Positioned at the bank of river Ganges, Rishikesh is an empyrean for both religious and adventurous souls. It is a serene town known as Yoga Capital of India. Rishikesh is an ideal destination for various adventure activities such as river rafting, rock climbing, trekking, kayaking, canoeing, etc. 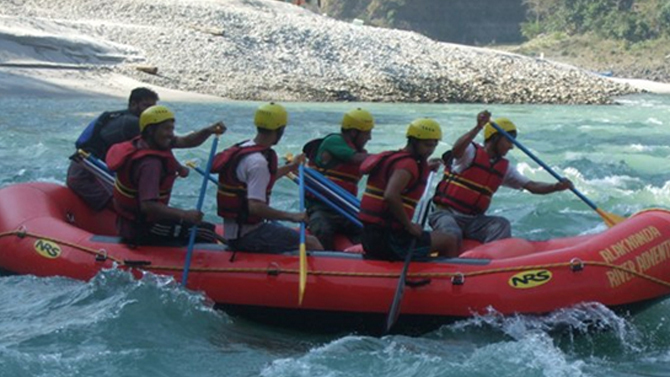 The vistas of Himalayan Peaks and glinting streams make Rishikesh a must-visit destination to the tourists. It is located at a distance of around 233 kilometers from Delhi. By Road- Rishikesh is well connected by road with major cities nearby such as Dehradun, Haridwar, New Delhi, etc. 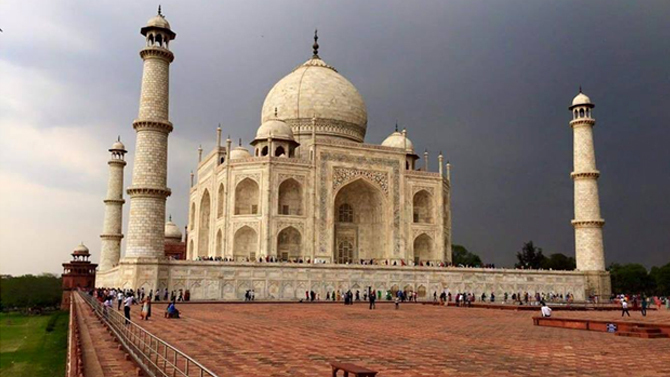 Boasting the monument of love- Taj Mahal, Agra is one of the best destinations to enjoy budget holidays near Delhi. It is located at around 218 kilometers from capital of India. Other than Taj, there are several other destinations like Agra Fort, bazaars of Old city, etc that can pave the way for a pleasant trip. The tourists can combine visiting Mathura, Govardhan and Vrindavan along with the tour to Agra as these cities are in close proximity. By Air- Agra Railway Station has several trains running to the cities like Delhi, Mumbai, etc. Some of the major hotels in Agra are Double Tree by Hilton Hotel Agra, ITC Mughal, Radisson Blu, etc. Counted among the most tranquil and intact hill stations in the country, Lansdowne has been a famous tourist destination since the time of British coming to India. Unlike other hill stations of the country, it is well linked with motor-able roads but secluded in its own way. 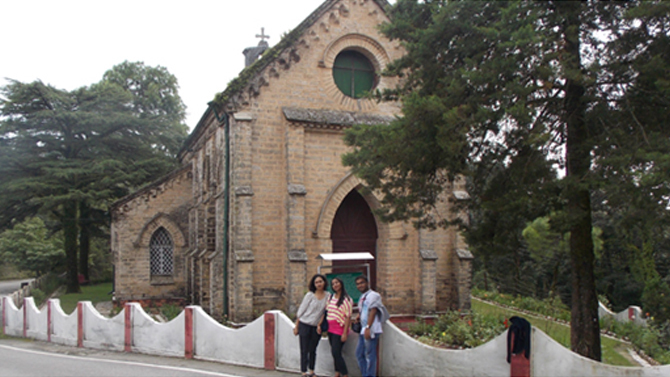 Positioned at an elevation of about 1700 meters above the sea level fringed by lush oak and pine forests in Uttarakhand, Lansdowne also holds several buildings highlighting British architectural brilliance. It is located at a distance of about 255 kilometers from Delhi. Some of the major hotels in Lansdowne are Fairydale Resort, Kasang Regency Hill Resort, etc. Bequeathed with undulating beauty of nature, Mussoorie is a lovely and calm city in Uttarakhand. The imposing mountains, glinting streams, opaque trees and much more, make this place an apt destination for nature lovers and honeymooners. Without a doubt, radiant waterfalls are the most imperative attraction of this place. This beautiful hill station is located at the distance of about 292 kilometers from Delhi. 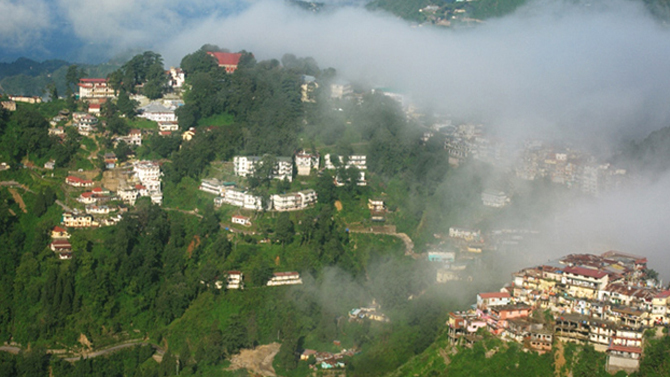 By Bus- Mussoorie is well-linked through buses with all major cities nearby. Both private and government buses run to this hill station. Some of the major hotels in Mussoorie are Hotel Ashirwad, Fortune Resort Grace, Rokeby Manor, etc. Why India’s Wildlife is Worth Exploring? A shimmering blend of modernity and old traditions, Amritsar is a major tourist destination of Punjab and India of course. It is a thriving city boasting historical sites exhibiting glorious past of the city. Moreover, Wagha Border in this city increases a sense of patriotism in the travelers. 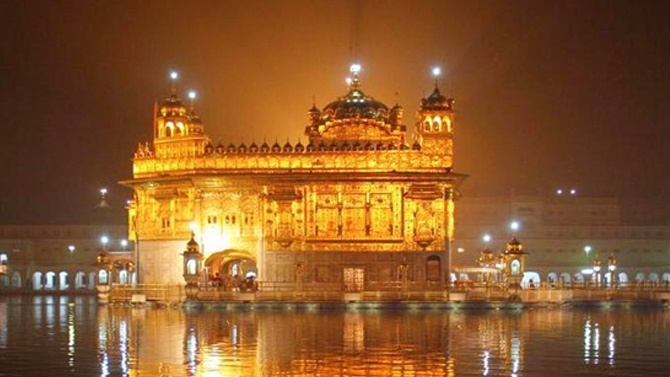 The beautiful Golden Temple is one of the epitomes of Sikh pilgrimage destinations. In spite of its present stance, the city still preserves and radiates an imperative and enriching exceptionality. By Rail- Amritsar Railway Station has good connectivity with stations like Delhi, Chandigarh, etc. By Air- Sri Guru Ram Dass Jee International Airport in Amritsar has flights to all major cities in India. Flights for abroad are also available here. Regardless of your wallet size, these places mentioned above ensure to tender you with congenial and memorable holidays. Choose any of them and enjoy a reasonably priced yet pleasant trip. How to Plan an Adventurous Trip to a National Park? Fishing and Angling in India: Where to Go?